Sleep apnea is a condition that causes issues for you – and possibly your partner if you're a snorer. You both could get a better night sleep by getting treatment. Not to mention, managing your sleep apnea improves your health in other ways. Nowadays, you don't even have to go to a hospital or sleep center to undergo a sleep apnea test since a home sleep apnea test is available. You may want to purchase a home sleep apnea test if you wake up most days and don't feel rested or experience any other symptoms of sleep apnea. It could indicate you're not receiving an adequate amount of oxygen while you sleep. People who have the condition often snore loudly. You'll stop breathing while you sleep, and your partner may notice it. You might wake up in the middle of the night gasping for air or choking. It's possible sleep apnea will cause various complications such as high blood pressure, difficulty concentrating, moodiness, or depression. Sleep apnea and heart problems are interrelated since not having enough oxygen in your blood puts a strain on your cardiovascular system. Other potential complications include type II diabetes, metabolic syndrome, and liver problems. During a home sleep apnea test, you stay in your own home using specialized equipment that monitors you while you sleep. You'll want to avoid napping and caffeine the day of the test. If you're on a sleep medication, you may need to refrain from taking it during the test. You'll want to go to bed at your usual time. Once you're ready to go to bed, you'll need to follow the instructions on how to setup the device to ensure its accuracy. You must hook up the sensors to your body. The device that connects to the sensors is about the size of a telephone handset and can rest on your nightstand. Additionally, the test measures factors like your nasal airflow as well as your oral airflow using a thin wire between your nose and mouth. Often, this piece of the device looks similar to a nasal cannula used for people who receive oxygen therapy. The test also uses elastic belts placed around your chest and abdomen in order to detect your respiratory effort. You have to connect a pulse oximeter to the tip of your finger, which evaluates how much oxygen is in your blood while you sleep. It needs to wear the device for one or two nights. You shouldn't experience any discomfort during the test. Because the only components of the device attached to your body using elastic, Velcro, or possibly stickers. The test should be comfortable enough that you sleep the same without being connected to the device. While you sleep, the test will gather data. Such as how many times you woke or stopped breathing. After you wake up, you send the device to a lab, where a technician evaluates your test results. This process could take up to several weeks. Based on the results, you need to see the physician in person to discuss treatment. You have to go to a sleep center to have another study conducted if the home sleep apnea test didn't record enough data. Or the physician suspects you have another sleep disorder. A home sleep apnea test has certain benefits to you as a patient. For one, you don't have to worry about going to a strange place to sleep. You get to relax in the comfort of your home, so you don't feel nervous. 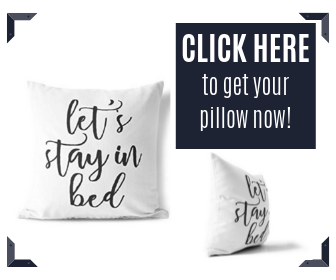 It's ideal for people who can't sleep anywhere but in their bed. People sleep much better when they're in their bed anyway, which can positively impact the accuracy of the results of the test. You don't have to venture to a center or hospital. This is convenient since you only have to participate in two in-person visits with the doctor. Typically, you receive the results from a home sleep apnea test in as little time as it takes for the results of an in-office test. The accuracy of conducting a test at home is similar, if not the same, as facility-based testing. 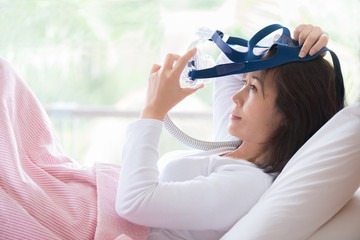 Generally, home tests are an affordable solution, especially when you consider the price it costs to have your sleep study conducted in a facility. Only some companies will cover a home sleep apnea test. Most insurance companies require you have symptoms of sleep apnea before paying any portion of the expense of a home sleep apnea test. It's possible you'll have to have a face-to-face meeting with a physician after the results come back.